Dr. Andy is a chiropractor with a mission: to help as many people as possible lead healthy lives. 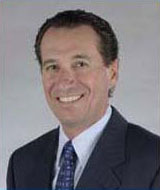 A graduate of the Cleveland Chiropractic College in Los Angeles, he was licensed as a doctor of chiropractic in 1990 by the National Board of Chiropractic Examiners and by the California State Board. He maintains two practices in San Diego, at Delta Chiropractic Clinic and at the Renowned Optimum Health Institute. He started Delta Chiropractic Clinic in Lemon Grove in 1990 and has been the treating Chiropractor since. Dr. Andy is also a public speaker and lectures at the Optimum Health Institute weekly. He is a past President of the San Diego chapter of the California Chiropractic Association, and has been honored as New Doctor of the Year as well as Doctor of the Year. He has also been recognized by the State Legislature of California for his service to the community. 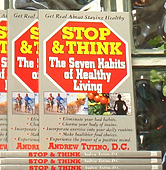 Dr. Andy practices what he preaches about the habits of healthy living and is the author of the book, Stop and Think, The Seven Habits of Healthy Living. To order Dr. Andy's book or CD contact the office directly or visit his website. A native of San Diego, he maintains a healthy weight through diet and exercise and a healthy mind through strong family and community ties. He and his wife, Sallie, have been married for over twenty years and are raising their two children, Christina and Nino. Whether at home, in print, or in his lectures, Dr. Andy's message is the same: Stop and Think. In addition to his years serving Lemon Grove and La Mesa's chiropractic needs, Dr. Tutino is a published author on the subject of nutrition.